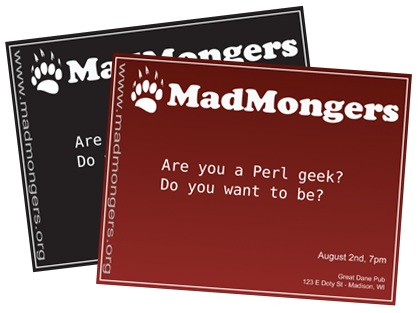 Of course I missed the meeting, but I guess 20 Perl Mongers showed up, which sounds like a pretty good turnout. Posted on Thursday, August 3rd, 2006 at 5:00 am. Subscribe to the comments feed. Both comments and pings are currently closed. Post on your own blog.